A white-boy-blues album as delicately balanced as “American Landscape” would be hard to find. Ten well-chosen covers and two originals, running the gamut from R&B to rock to jazz to soul to country, are tied together so neatly that one wishes it were Friday night at the local no-cover-charge watering hole in perpetuity. 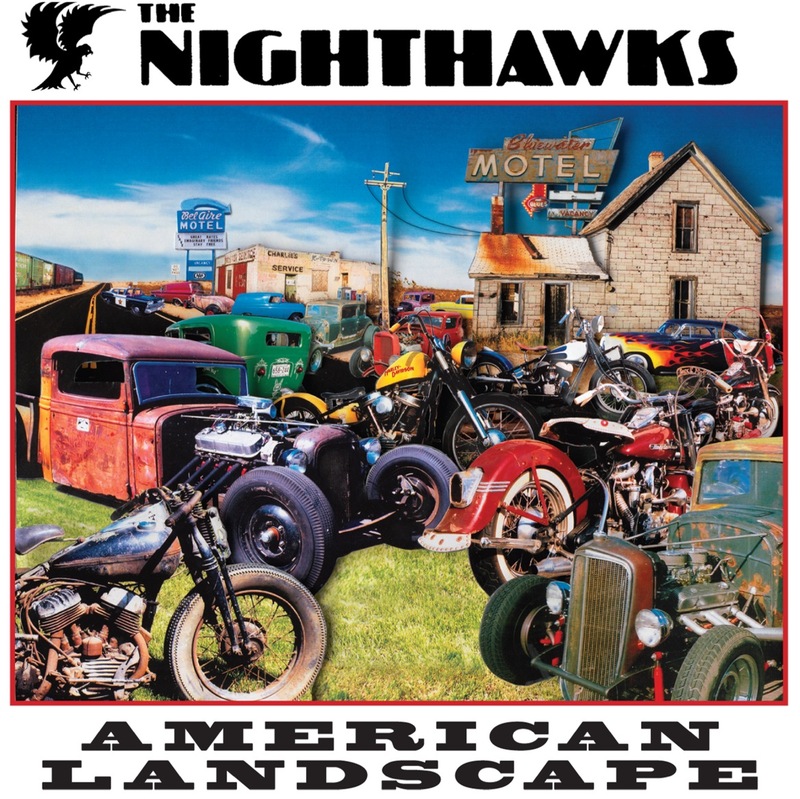 One of America’s longest-living bar bands (approaching 37 years), the Nighthawks lost founding guitarist Jimmy Thackery to a solo career in 1986 and went through a series of axmen before landing Telecaster master Paul Bell along with bassist Johnny Castle in 2005. Lone original member Mark Wenner (harmonica, vocals) and 35-year member Pete Ragusa (drums) round out the group. “Landscape” is this particular quartet’s first studio effort. From the get go, Bell supports the theory that there’s something about Washington, D.C., guitarists. “Big Boy,” a deeply grooving song by L.A.’s criminally unknown blues-rockers the Imperial Crowns, features some of the best electric and electric-slide tone since David Champagne’s work with Boston’s short-lived Treat Her Right. Other highlights include “Down in the Hole” (aka “Way Down in the Hole,” by Tom Waits from his 1986 musical play “Franks Wild Years”); Ike Turner’s 1958 Sun single “Matchbox” (aka “Gonna Forget About You,” sung by Ragusa); and Sam and Dave’s “Don’t Turn Your Heater Down” and Dan Penn’s “Standing in the Way” (both also sung by Ragusa). The two Dylan covers are inventive; Castle’s original contributions (“Where Do You Go” and “Jana Lee”) dovetail nicely with the rest of the set; and the acoustic instrumental “Fishin’ Hole” (theme from “The Andy Griffith Show”) makes for a swingin’ sendoff.